Mozilla Firefox 4.0 Beta 3 Pre has been released.If you want to test the latest Mozilla Firefox beta release in Ubuntu,you can add ubuntu-mozilla-daily ppa into your repository.It should add the latest packages as quickly as possible. 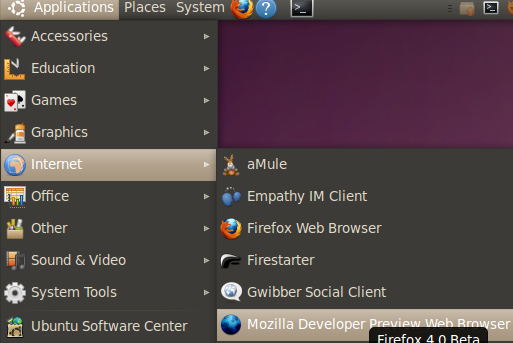 Once installation finish,you see “Mozilla Developer Preview Web Browser” in Applications->Internet menu. 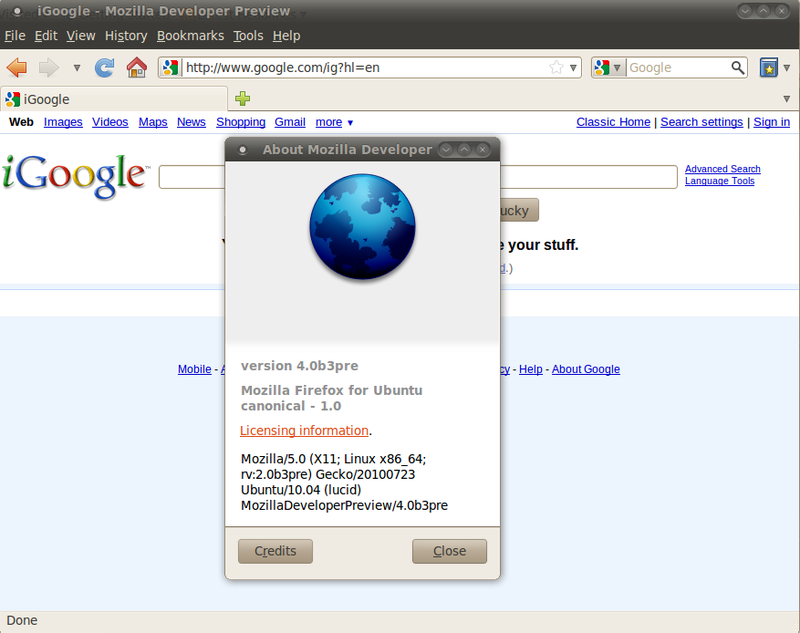 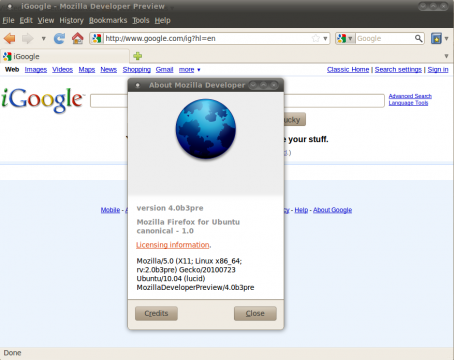 4 users responded in " Install Mozilla Firefox 4.0 Beta 3 Pre in Ubuntu 10.04 (from PPA) "